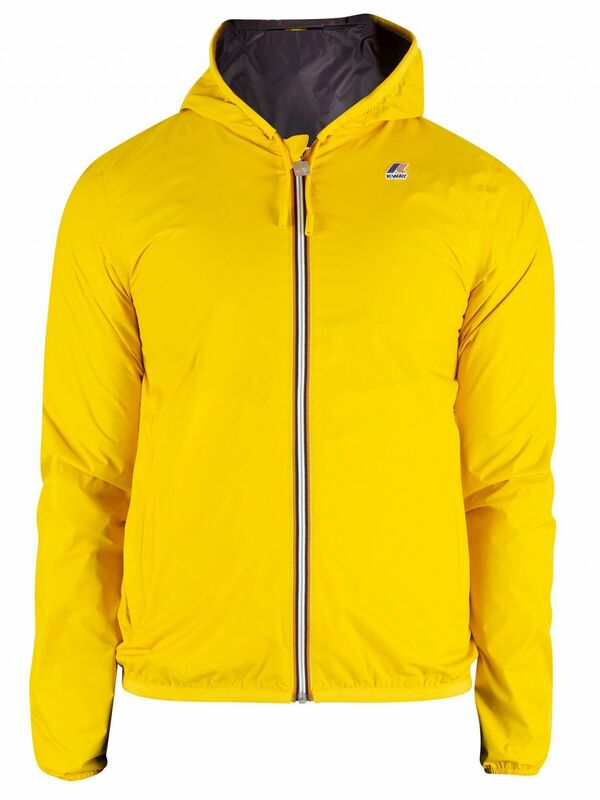 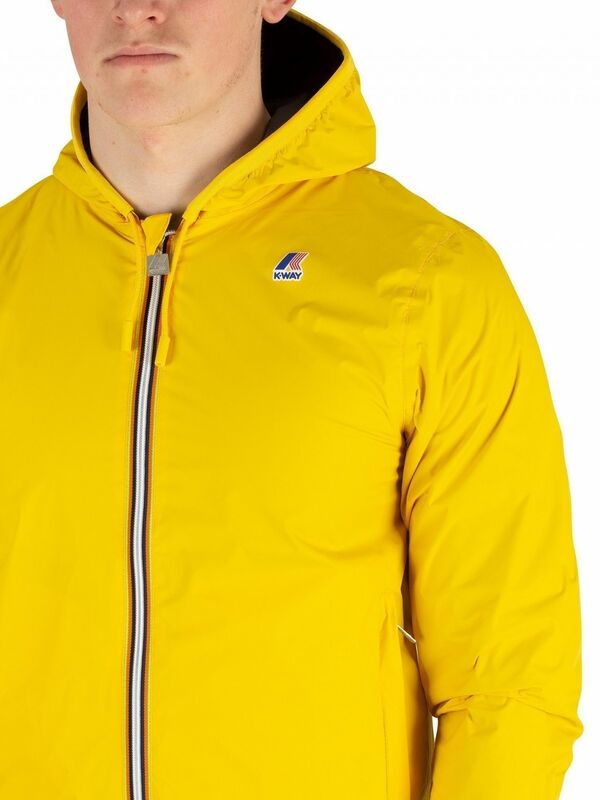 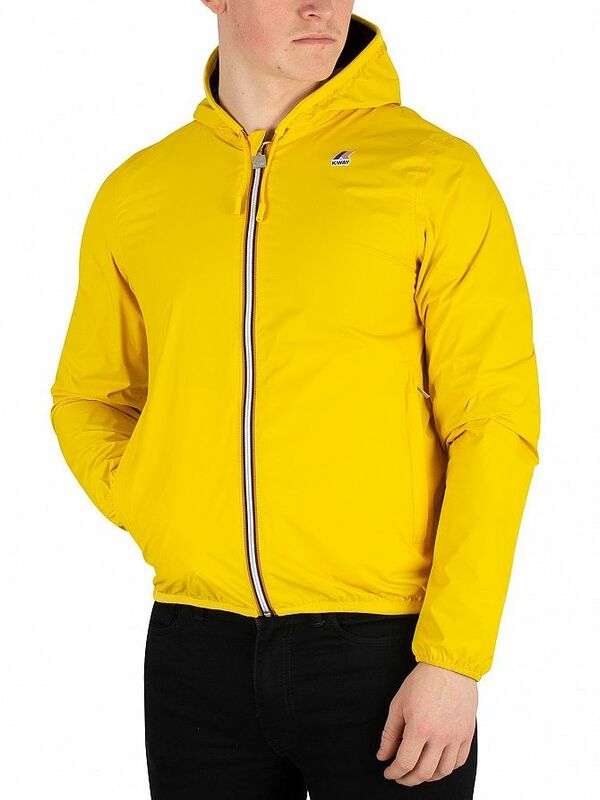 The Jacques Reversible Plus Double Jacket from K-Way comes in Yellow/Grey colour, featuring a zip closure and a drawstring hood. 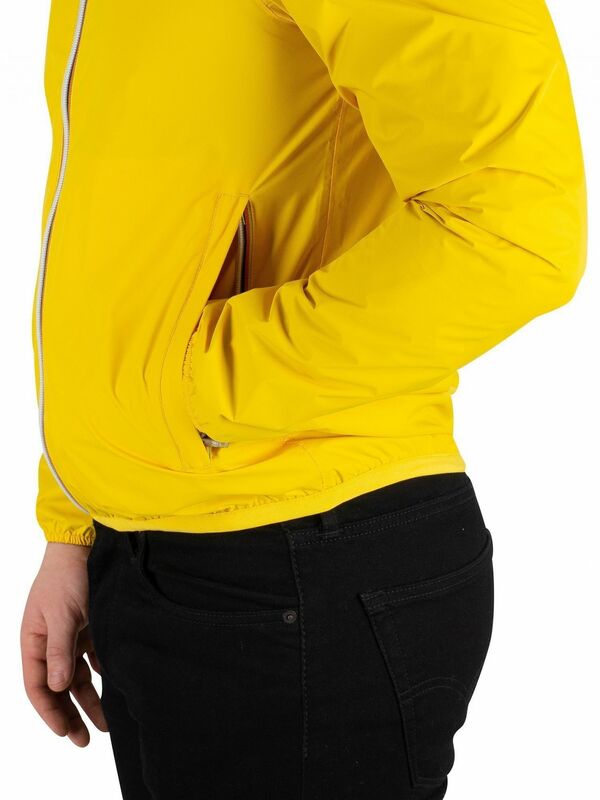 This this slim fit jacket is packable away in pocket and features a printed logo on front. 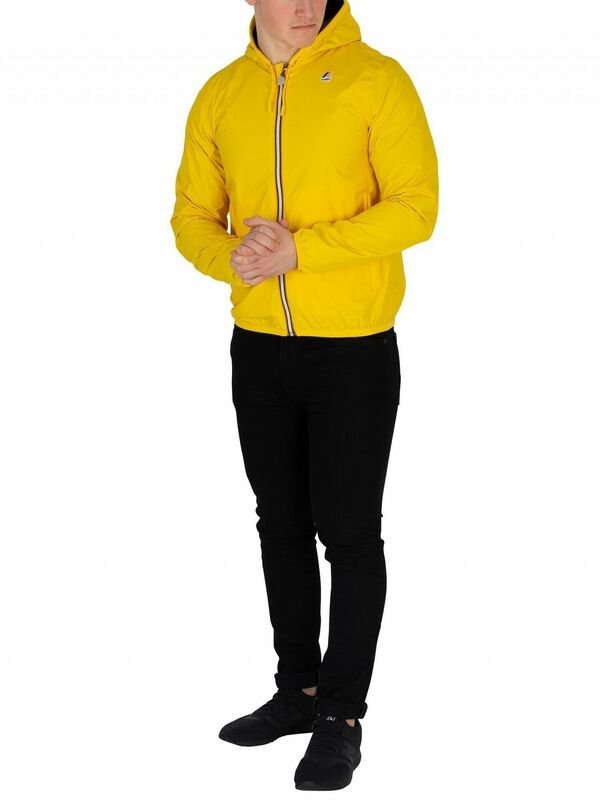 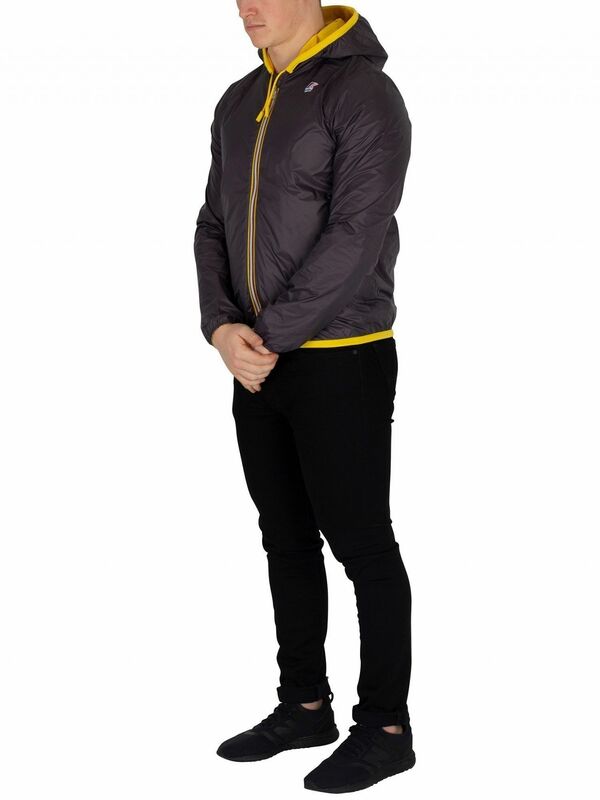 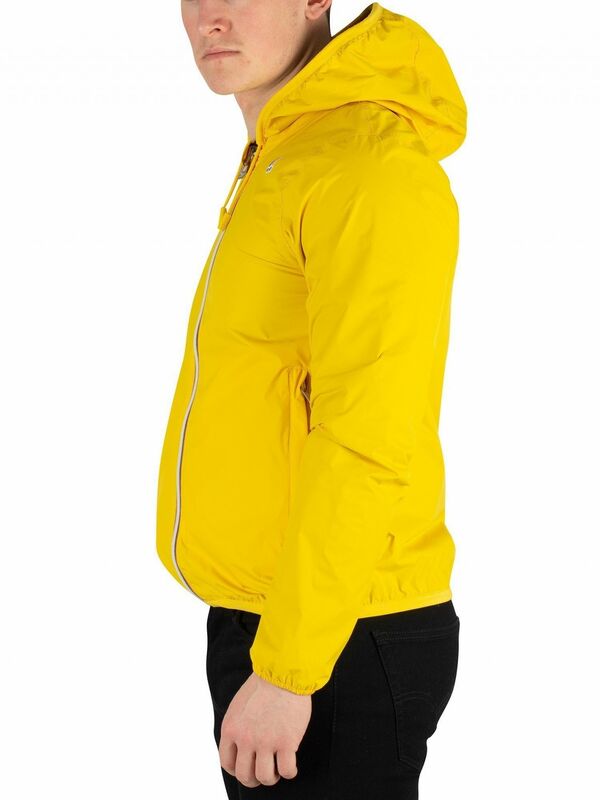 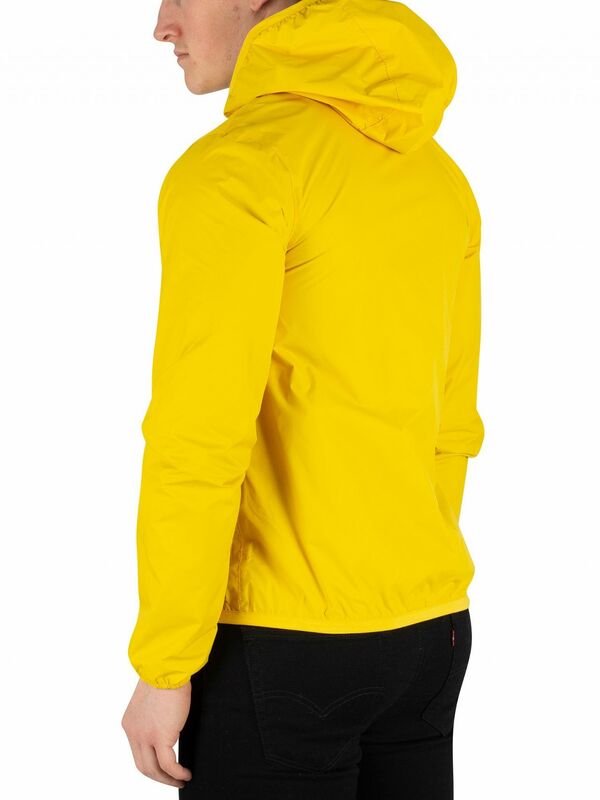 Coming with zip pockets (Yellow) and buttoned pockets (Grey), this reversible jacket sports elasticated cuffs and hem.